Professional esports players may benefit from sponsors that outfit them with the latest and greatest hardware, but it’s a mistake to think you need thousands of dollars’ worth of gear to play competitively or build yourself up as a streamer. 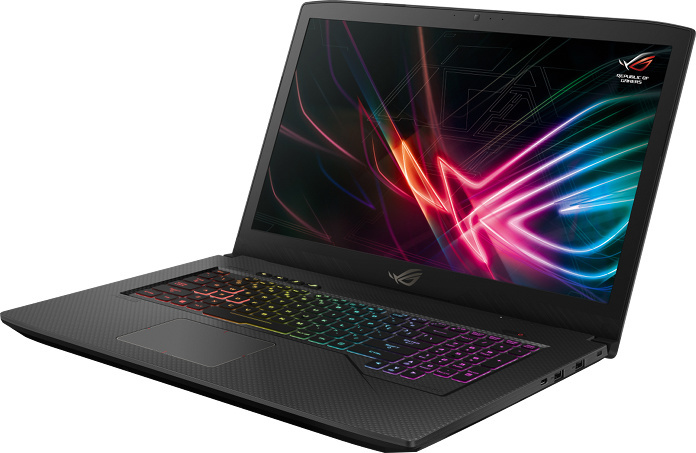 All that’s required is a gaming laptop capable of running your favorite titles, with enough extra power for streaming and video editing, and a stylish aesthetic that helps you stand out. 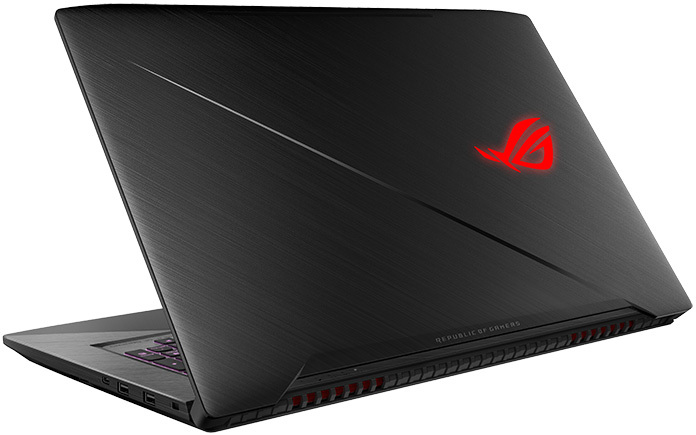 Our new family of 15.6” ROG Strix GL503 and 17” ROG Strix GL703 laptops are just that. 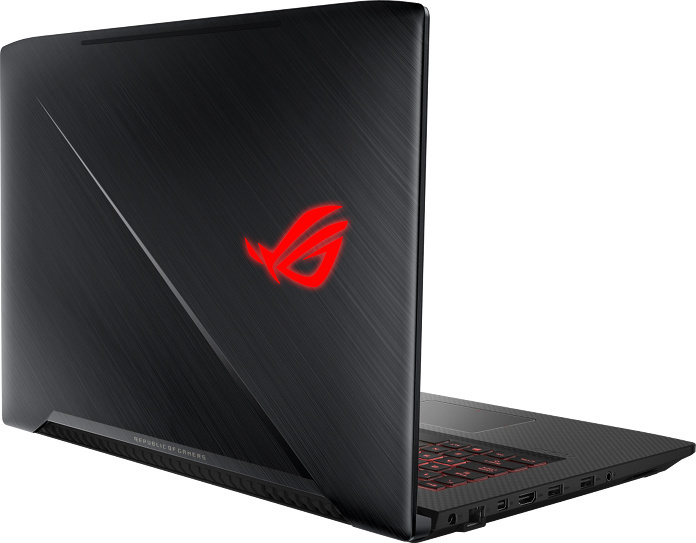 Focused on balancing price and performance with extra enhancements for gaming, the standard models ship with a desktop-class Core i7 CPU and GeForce GTX 1050 GPU as standard equipment. 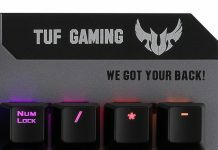 They include an upgraded keyboard laced with RGB lighting, and they’re packed into portable chassis that are just as comfortable on the road as they are at home or in school. 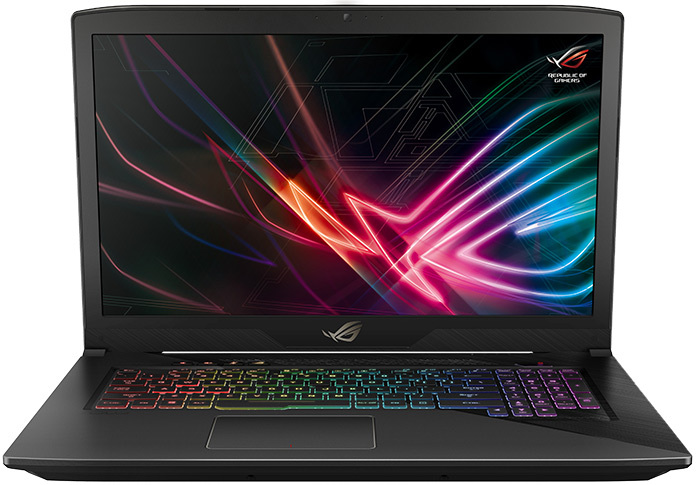 They’re joined by the ROG Strix Hero and Scar editions, which boast beefier GTX 1060 GPUs, faster 120Hz displays, and unique exterior designs tailored to specific game genres. The whole family shares many of the same traits, with the traditional models laying a foundation for the special editions, so let’s take a look at the key features you’ll see across the entire line. 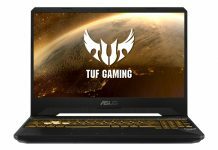 Over the years, gaming laptops have garnered a reputation for being bulky behemoths that are technically portable but realistically too big and heavy to accompany you on an everyday basis. 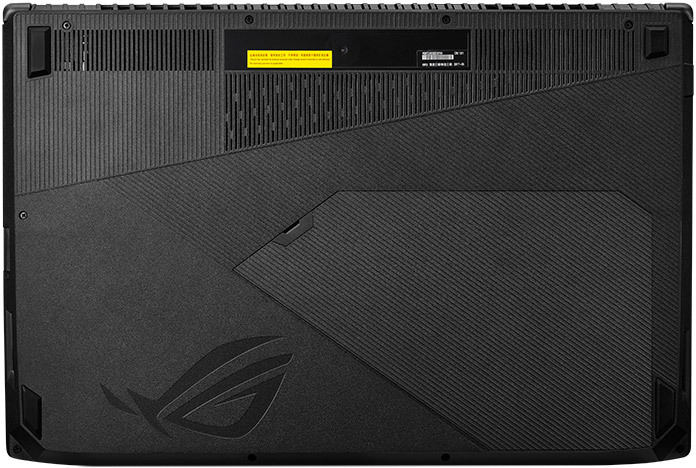 An industry-wide pursuit of thinness and the resulting push for smaller components has enabled premium gaming laptops like the ROG Zephyrus, which rivals ultrabooks in size, but portability shouldn’t be reserved for gamers with deep pockets. The GL503 and GL703 measure less than an inch thick and are compact enough to throw in your backpack. The larger GL703 has a 16.3″ x 11″ footprint, while its smaller sibling squeezes into 15.1″ x 10.3″ dimensions. Our Duo Thermal technology keeps everything cool no matter the workload. PC cooling used to keep temperatures within a specified range to avoid software crashes and prevent damage to the components. Today, staying in the thermal sweet spot can also influence performance by allowing the CPU and GPU to maintain higher Turbo and Boost frequencies. Duo Thermal gives each chip its own heatsink and a powerful 12V fan to ensure optimal cooling even when the system is fully loaded. 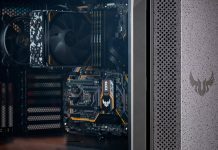 Every member of the family comes with 16GB of DDR4-2400 RAM, which is more than most desktops and plenty for gaming, content creation, and surfing across an obscene number of browser tabs. You also get at least 1TB of storage to handle game libraries that seem to be growing bigger by the day (Gears of War, DOOM, and Call of Duty: Infinite Warfare all clock in at over 60GB each). The entry-level configs feature a solid-state hybrid drive (SSHD) that uses a small amount of NAND cache memory to accelerate access to a conventional hard drive. Invisible to the user, this seamless caching mechanism reduces the time required to boot the system and load your most frequently used games, apps, and other files. Pricier configs combine an M.2 SSD and 2.5″ drive to give you the fast load times and improved responsiveness of solid-state storage alongside the copious capacity of a mechanical sidekick. A little upgradability can go a long way toward extending the life of your laptop, so the GL503 and GL703 feature a new D-door that makes accessing vital internals as simple as removing a single screw. Behind the removable panel, you’ll find an empty SO-DIMM slot that lets you easily double the 16GB of RAM that’s already installed. 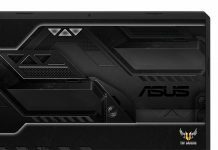 The M.2 slot is within reach for SSD upgrades and will happily accept SATA or NVMe drives, while the accessible 2.5″ bay can take a different hard drive, SSHD, or even another SSD. Upgrades won’t void the warranty as long as they don’t damage the system, and you roll back to the factory config before sending in the laptop for service. Great performance means nothing if your keyboard prevents you from playing your best. 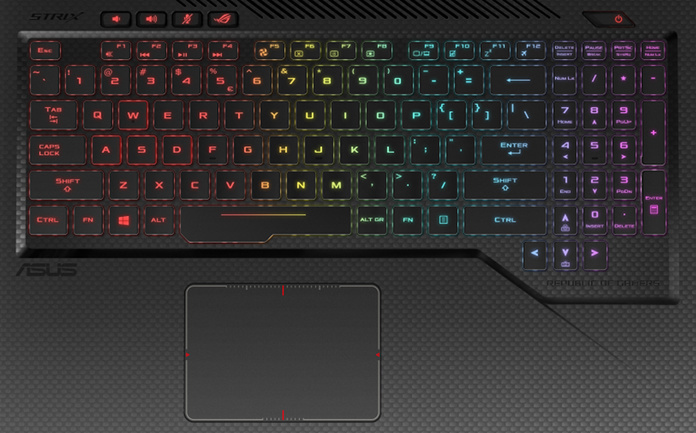 When designing the GL503 and GL703, we asked gamers what makes a great laptop keyboard and used their answers to improve the looks, feel, and usability. Immediately apparent is the desktop-like spacing around the function keys and greater isolation for the arrow keys. 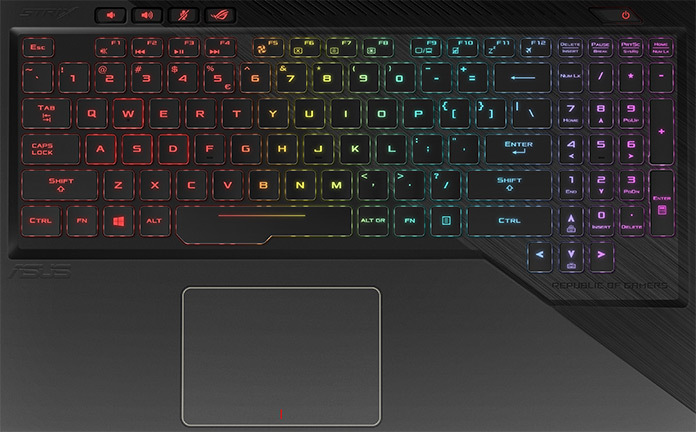 A new cluster of dedicated hotkeys offers quick access to volume, mute, and our ROG Gaming Center utility. Users also asked for more prominent modifier keys, so we fattened up Shift, Alt, and Ctrl along with the spacebar. The keyboard changes aren’t limited to spacing and layout. Each key has 1.8 mm of travel complemented by our Overstroke technology, which moves the actuation point closer to help you keep up with the rapid, repeated action required by fast-paced gameplay. Support for n-key rollover allows precise recognition of many simultaneous keystrokes, a perfect addition for games like Prey 2017, World of Warcraft, and Fallout 4. Aura RGB backlighting is the cherry on top, bringing customizable backlighting that lets you set different colors and effects across four distinct zones using our intuitive Aura Core software. External peripherals like thumb drives, game controllers, and mice can choose between five USB ports, including one reversible Type-C. They’re joined by a Gigabit Ethernet port for when your multiplayer gaming requires a reliable wired connection. 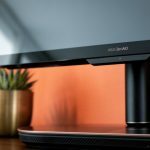 A Mini DisplayPort 1.2 output lets you connect a monitor when you’re playing at home, while HDMI 1.4 makes it easy to hook up a big-screen TV for Netflix or gaming from the couch. There’s even a 2-in-1 SD card reader for quickly grabbing files from digital cameras. Voice communication is critical for streaming and team-focused games, so the 3.5-mm audio combo jack is a given for headsets and microphones. If you want to avoid headgear, dual speakers fire out the sides of the chassis. They’re powered by our smart amplifier technology, which produces more volume with less distortion while protecting the speakers from damage. The Scar and Hero editions feature distinctive aesthetics to match FPS and MOBA genres, but the traditional versions of the GL503 and GL703 sport subtler styling. Their sleek, brushed metal exterior has a hairline finish that adds texture without calling too much attention. Accenting the matte black shell are bright red heatsinks that add a pop of color that’s visible through the exhaust vents at the back. Under the hood, you’ll find NVIDIA’s GeForce 1050 GPU alongside 4GB of dedicated VRAM. Thanks to the chip’s power-efficient Pascal architecture, you’re basically getting a desktop GPU inside a laptop. The GTX 1050 is built for 1080p gaming and ready to pump out smooth frame rates in competitive titles like CS:GO, Overwatch, Dota 2, and Rocket League. Check out our hands-on look at the similarly equipped ROG Strix GL553 and GL753 laptops to get an idea of the sort of performance you can expect. If you’re buying any of the traditional models, you’ll be gaming on IPS-type panel with vivid colors. Complete coverage of the sRGB gamut ensures the full spectrum of hues is available for both gaming and content creation. Wide viewing angles keep those colors consistent as your posture shifts while you play, and matte coatings prevent reflections from disrupting your view. The Full HD resolution translates to a higher 141 PPI on the smaller 15.6” panel, though the 127 PPI on the 17.3” version still offers sharp visuals for gaming, productivity, and everyday use. Dimensions 15.1" x 10.3" x 0.9" 16.3" x 11" x 0.9" 15.1" x 10.3" x 0.9" 16.3" x 11" x 0.9"
Regardless of display size, the entry-level Strix models ship with a roomy 1TB SSHD and are priced at $1099 USD and $1499 CAD. You have the flexibility to choose the size that’s right for you without worrying about added cost from supersizing the screen or shrinking the footprint. For $1299 USD and $1799 CAD, you can opt for the GL503VD-DB74 or GL703VD-DB74, which swap the SSHD for a speedier 256GB M.2 SSD running alongside a standard 1TB HDD. Check the table above for retailers selling each model. 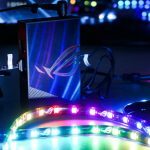 The styling of the ROG GL703 Scar Edition heralds its purpose as a machine purpose-built for gamers with an affinity for FPS titles. We started with the standard GL703 chassis but dropped the matte black finish in favor of gunmetal gray. Continuing the gray through to the keyboard and palm rest, we used a patterned Kevlar for added style. Finally, we highlighted the WASD keys so they stand out regardless of the color you’ve chosen for the Aura backlit keyboard. Creating a laptop geared for FPS gamers is about more than making it look the part. For first-person shooters, you need a display that won’t hamper your reaction times in the frantic action, and refresh rate and response time both play distinct roles. The Scar’s 17.3” display has a 120Hz refresh rate and 5-ms gray-to-gray response time. These specs are much better than what’s available in typical gaming laptops, including the Scar’s traditional siblings, and they’re crucial for delivering a great experience when playing fast-paced games. The lower the response time of the panel, the less likely you are to see blurring and ghosting on the screen. Those visual artifacts are created by remnants of the previous frame when the pixels can’t transition between colors quickly enough to keep up with what’s being displayed. The 120Hz refresh rate allows new frames to be displayed every 8.3 ms, minimizing screen tearing and improving the fluidity of motion and action. In the twitchy FPS genre, where smoother motion and improved reaction times are a competitive advantage, a high-refresh panel is what you need to step up your game. The display also covers 94% of the NTSC color space (which is wider than sRGB), making the Scar a good candidate for gamers dabbling in content creation on the side. Wide viewing angles mean colors stay consistent, even if you shift positions while you play or are gaming side-by-side with a friend. A higher refresh rate isn’t much use if you you don’t have a high frame rate to go along with it; your GPU needs to be able to keep pace. 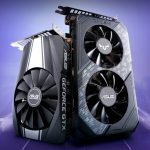 Compared to the GTX 1050 in the traditional models, the Scar’s GeForce GTX 1060 6GB graphics chip features a wider memory bus with more RAM and twice as many CUDA cores running at higher clock speeds. 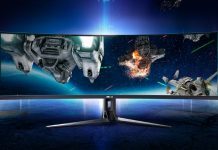 It’s an improvement in every category and delivers enough pixel-pushing power to push triple-digit frame rates at the display’s native 1080p resolution. We’ve also upgraded the storage configuration, packing the Scar with an NVMe M.2 256GB SSD as well as a 1TB SATA SSHD. Connected directly to the PCIe bus, the NVMe drive provides all the quick-access benefits of an SSD with throughput unbound by the 600MB/s limits of SATA. With the 1TB SSHD riding shotgun, you’ve got plenty of space for a massive Steam library (even after those sweet holiday sales), as well as the benefit of flash cache for launching your favorite apps. The ROG Strix GL503 Hero Edition is made for a completely different kind of gamer. 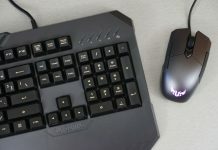 The highlighted QWER keys are a dead giveaway that this is a MOBA machine, and its aesthetic reflects a world of fantasy. Based on the GL503 body, the Hero wears a matte black finish accented with a distinctive pattern reminiscent of dragon scales. These markings extend diagonally across the lid and are consistent when you open the laptop, spanning almost the entire width of the palm rest and surrounding the Aura backlit keyboard. Gameplay in MOBAs can be just as hectic as in shooters, but the nature of holding and fighting within lanes keeps the action largely contained to one area. Because you don’t experience the same constant scene changes, ghosting and blurring is less likely than in FPS games, and there’s little need for the super-fast response time of the Scar’s TN panel. Instead, the Hero features a 15.6” 1080p IPS-type display with vivid, consistent colors visible over wide viewing angles. A 120Hz refresh rate ensures fluid motion in the heat of the battle and keeps input lag to a minimum. The GTX 1060 is beefy enough to serve up blazing frame rates in your favorite MOBAs, but you’re not limited to a single genre. The Hero is capable enough for more demanding titles, including classics like DOOM as well as newer games like Tomb Raider, or Batman: Arkham City. Like the Scar, it even exceeds the minimum specs for VR experiences on the Oculus Rift and HTC Vive headsets. The Hero’s storage configuration matches that of the Scar Edition. A 256GB M.2 NVMe SSD is complemented by a 1TB SSHD to deliver fast load times and ample space for all of your games. The NVMe drive can hold your favorite MOBAs, while the 1TB SSHD can accommodate the rest of your game library, including heftier AAA titles. Dimensions 15.1" x 10.3" x 0.9" 16.3" x 11" x 0.9" 15.1" x 10.3" x 0.9"
The GL703 Scar Edition and GL503 Hero Edition are designed to give you an edge over the competition. Priced at $1599 USD and $1999 CAD, the Hero Edition is available for pre-order in the USA this week and will arrive in Canada in November. Also priced at $1599 USD and $1999 CAD, the Scar is set to ship next week. It will soon be joined by a 15.6” Scar Edition featuring a GeForce GTX 1070 GPU and an IPS-type G-Sync display with a 144Hz refresh rate. That model will be priced at $1899 USD when it debuts in November. Check the table above for retailers selling the Scar and Hero in your region. 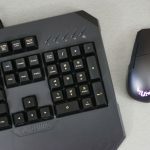 To see how the different Strix configurations stack up in games, we tested a couple of configurations representative of the traditional versions and the 120Hz Scar and Hero editions. We played a handful of popular titles and used Fraps to log individual frame times during 120-second sequences. The data was then converted to FPS for the graphs below. Configurations with higher performance generate longer plots because they generate more total frames per test run. We used maximum in-game detail settings for CS:GO and Dota 2 but dialed back to high details for Doom, Overwatch, and Prey. Click the buttons below the graph to switch between games. With a trusty shotgun in hand, we dispatched terrorists in close quarters during rounds of Dust II in CS:GO. 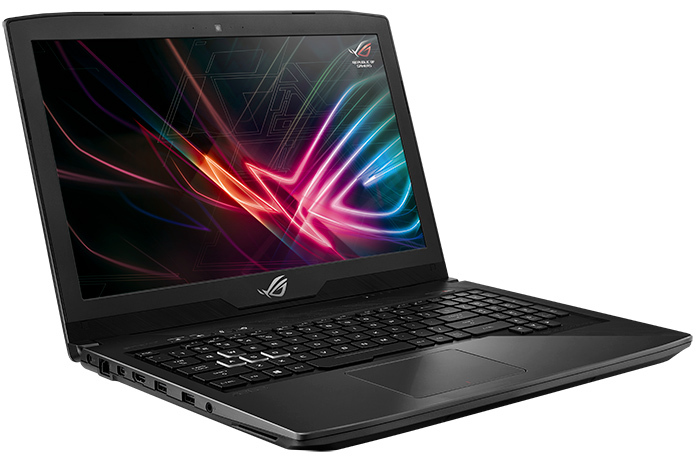 The game runs on a potato, so even the traditional Strix GL503 generates frame rates comfortably over 60 FPS. The GTX 1060 in the Scar and Hero editions is capable of maintaining triple-digit frame rates that maximize the high-refresh displays in those models. Performance in Overwatch was similar as we ran, blinked, and recalled through a firefight in Nepal. 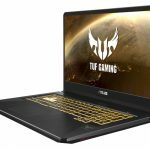 The traditional configurations’ GTX 1050 keeps frame rates over 60 FPS, while the GTX 1060 in the Scar and Hero delivers smoother frame rates that rarely dip below the 120Hz ceiling for those laptops. Doom offered a non-stop assault as we gunned our way through Imps throwing fireballs, Revenants firing rockets, and Hell Knights leaping through the air. The traditional models provide a smooth and hitchless experience with performance oscillating around 60 FPS. The action is smoother on the Scar and Hero, though you’ll need to nip and tuck the graphical settings to hold triple-digit FPS in heavy action. Frame rates were higher in Prey despite the fact that our test sequence, the opening helicopter ride over San Francisco, represented a worst-case scenario with long view distances. The GTX 1050 in the standard models is fast enough to stay over 60 FPS in that scene, while the faster GPU in the Scar and Hero boosts performance closer to the 120-FPS ideal for those editions. We let the pros take over for Dota 2 by testing performance during playback of a match between Evil Geniuses and DC. This was a 5v5 bloodbath, not some meek hit-and-run hassle, but the Strix laptops have the horsepower to take it in stride. The standard models are fast enough to stay comfortably over 60 FPS for much of the scene, while the Strix and Hero editions pump out higher frame rates that flirt with their screens’ 120Hz limit. The performance in all of these games can be tweaked by adjusting the graphical settings, but the traditional GL503 and GL703 are tuned for a 60-FPS experience, while the 120Hz Scar and Hero are specced for smoother gaming at higher frame rates. They’re worth the upgrade on performance alone, especially since their displays are capable of providing a true 120-FPS experience that feels more engaging.